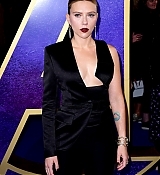 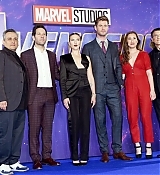 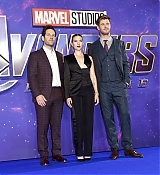 On yesterday night (April 10th) Scarlett, Chris Hemsworth and Paul Rudd attends the UK Fan Event to celebrate the release of Marvel Studios’Avengers: Endgame’ at Picturehouse Central in London, Scarlett had on a Tom Ford Spring/Summer 2019 – Tom Ford Jacket, Tom Ford Wool Silk Shaped Waistband Tuxedo Pant and Christian Louboutin Decollete shoes and it was a very different look for her but I love it on her. 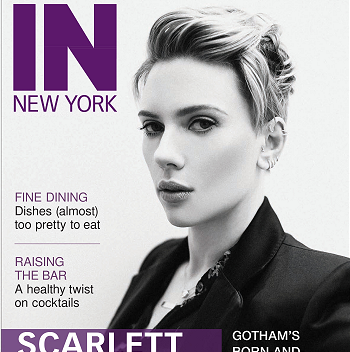 Scarlett did press interviews, some photos with fans and showed of a little of the movie to all the people there. 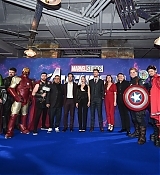 HQ photos from the event are now up in the gallery so enjoy!